Wow, within a few days of my first Liebster, I was nominated for a SECOND! Thank you Courtney at The Crunchy Delinquent for nominating me! It made my day! 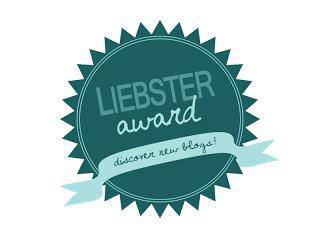 If you don't already know what it is, The Liebster Award is awarded by fellow bloggers to blogs with less than 200 followers, as a means to encourage and praise each other. Add this badge to your blog if you wish! Link back to the nominating blog. Nominate 5-11 other blogs with fewer than 200 followers. Ask the nominees 11 new questions. Contact the nominees to congratulate them and let them know they were nominated! What's your all time favorite food? Gosh, I love food so much it is hard to pick! Though, if I have to pick one, it is BBQ baby back ribs. Yum! Is it dinner time yet? If you could live anywhere on earth, where would it be? I have to say I am pretty spoiled with where I live in Southern CA. I guess I would stay in the area but switch it up for a bigger house with a pool :). What do you feel is your biggest accomplishment? I think my biggest accomplishment has been getting the courage to start my own little crafty company, J & A's Handmade Lovelies, and run with it! It may not make me a millionaire, but it makes me happy. What's your dream home look like? Probably something similar to a Pottery Barn catalog, but lived in and with lots of family pictures up. I love pictures. Smart phone or dumb phone? Well, my so-called smart phone is pretty dumb a lot of the time. I need a new one! What was your favorite toy as a child? Dolls. I had a ton of barbie and baby dolls. I still love to play them with my niece! Do you like being outdoors? Why or why not? I love the outdoors, especially near the beach or some other water source, because it just makes me happy. Why did you start blogging? 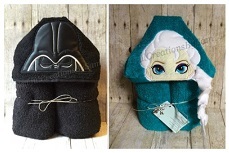 I wanted to be able to share my love of crafting and cooking with more than just my husband and mom. They are pretty much required to tell me they love my stuff. It's nice to get feedback from the unbiased! Are you working at your dream job now? And if not, what is your dream job? Actually yes, I am. I am so blessed to have a wonderful husband who let me quit my job to stay at home and craft it up! If I could do anything other than this, I would practice medicine. I pretty much am my own Doctor, you know, without the ability to prescribe meds. What was your most embarrassing moment that you are willing to publish on your blog? Hmm, that is a good one. I don't embarrass easily, but I did flash a few pool patrons the other day while trying to tighten my bathing suit bottoms. My niece and I just laughed it off, though. What's your top pet peeve? Anything repetitive. I am anti-OCD. Seriously, if a song or something is too repetitive I will get nauseous. I know it's weird. Oh, and I cannot stand when people wear sunglasses indoors. Annoying! My middle name is Ann. I am double jointed in my knees. I love the sun, it makes me happy! I am chevron-obsessed. I don't even know why. I rescued a sweet, runaway yellow lab from the street yesterday and returned him to his owners but secretly wanted to keep him. I love going to barre class with two of my best friends, Jordan and Brittany, every week. I enjoy working in the yard and taught myself to mow the lawn last month, finally! My mom is my hero! A single mom who worked two jobs AND beat breast cancer! She is amazing. I cook most often in our house, but my husband is an amazing cook! His Chile Verde Burritos are to die for! I have owl decor all over the place. Even in my back yard. Love them! Dirt cups are one of my all-time favorite desserts. What is the closest theme park to you? What do you use most often for pictures? Phone or camera? What is your go-to dish to bring to a party? Last time you did something spontaneous? And what was it? And there you have it! Congrats ladies! Hope you are as excited to receive this award as I was! I look forward to reading your responses :). Thank you again to Courtney at The Crunchy Delinquent for my nomination! You're so welcome! :) Hope you had a great weekend as well! Hi Alyssa! Congrats on the much deserved award! I loved reading your post and learning more about you. I was a big doll person and still am - I still kind of play with Barbies, well collect them now! Have a happy Sunday and a great week! Thank you Cindy! :) Hope you have a great week too! Hi! New follower! Congrats on the Liebster! I got one last month!